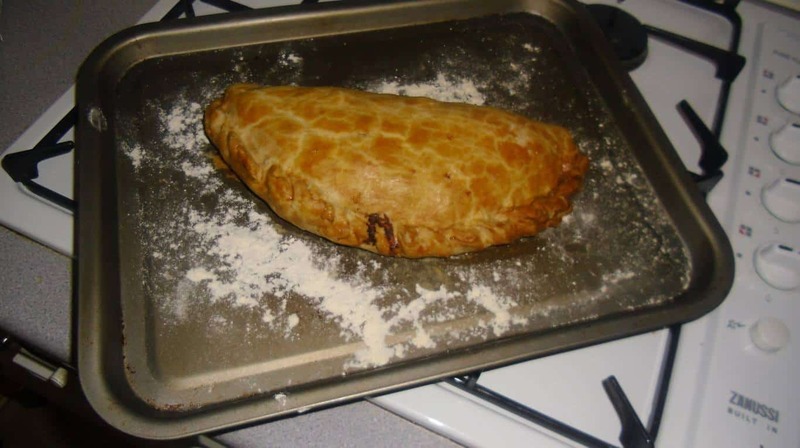 This recipe is for six good sized Cornish pasties. 1. Rub the two types of fat lightly into flour until it resembles breadcrumbs. 2. Add water, bring the mixture together and knead until the pastry becomes elastic. This will take longer than normal pastry but it gives the pastry the strength that is needed to hold the filling and retain a good shape. This can also be done in a food mixer. 3. Cover with cling film and leave to rest for 3 hours in the fridge. This is a very important stage as it is almost impossible to roll and shape the pastry when fresh. 4. Roll out the pastry and cut into circles approx. 20cm diameter. A side plate is an ideal size to use as a guide. 5. 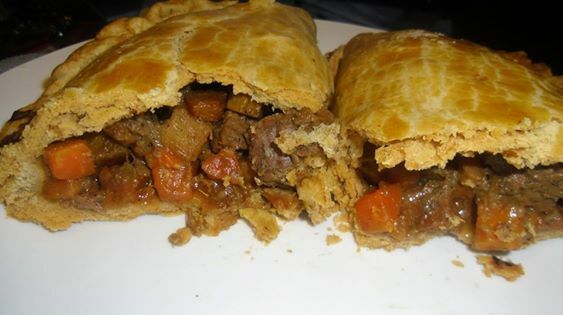 Layer the vegetables and meat on top of the pastry, adding plenty of seasoning. 7+. Glaze with beaten egg or an egg and milk mixture. 8. Bake at 165 degrees C (fan oven) for about 50 – 55 minutes until golden. underside of the belly of the animal. It has no gristle and little fat, cook’s in the same amount of time as the raw vegetables and its juice produces wonderful gravy. Use a firm waxy potato such as Maris Piper. A floury potato will disintegrate on cooking. 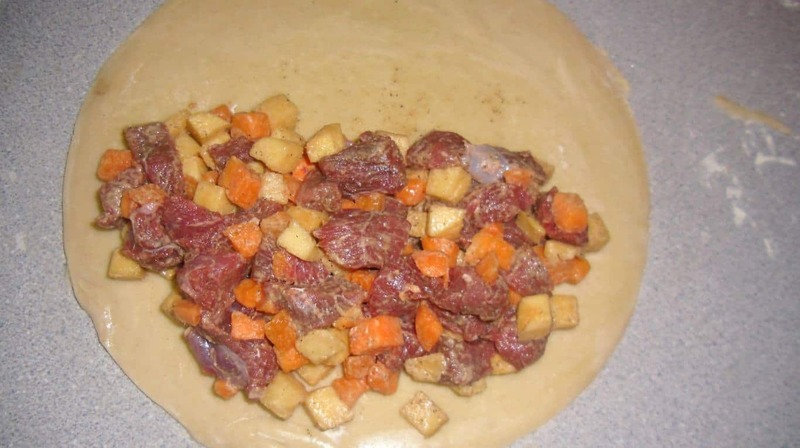 Crimping is one of the secrets to a true Cornish pasty. A good hand crimp is usually a sign of a good handmade pasty. 1. Lightly brush the edge of the pastry with water. and thumb twist the edge of the pastry over to form a crimp. 4. Repeat this process along the edge of the pasty. 5. When you’ve crimped along the edge, tuck the end corners underneath.